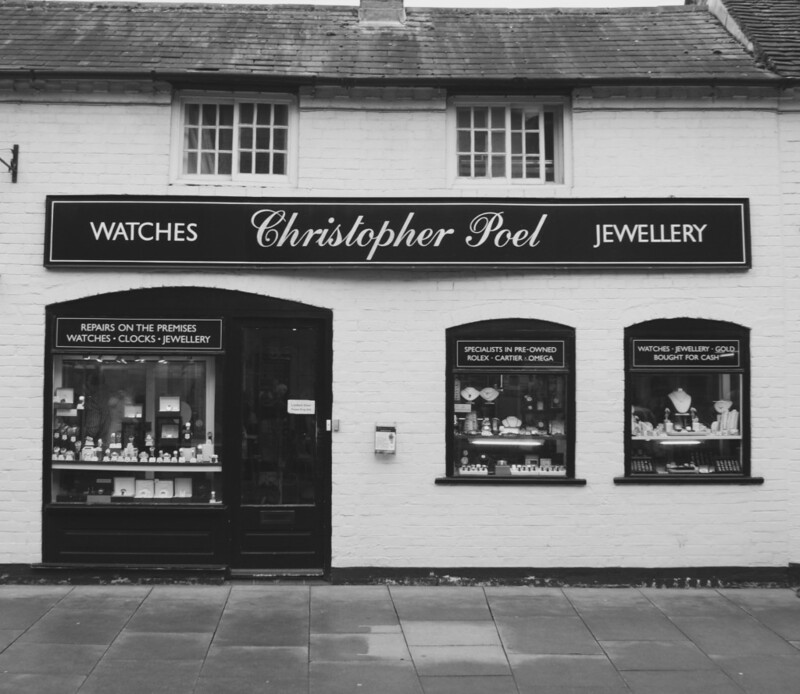 Christopher Poel, watches and jewellery, is a family run business based in the picturesque town of Stratford upon Avon and is in close proximity to local historical attractions such as; Shakespeare’s Birthplace, Anne Hathaway’s Cottage, Hall’s Croft and Harvard House. History not only surrounds Christopher Poel’s but the business itself is steeped in history with three generations of Horologists within the family, giving the business a personal touch. Having expertly trained and certified FGA Gemmologists and MBHI Horologists within the business, you can rest assured that you are buying from trusted specialists. We pride ourselves in a professional but personal approach and our customers travel from far and wide to visit our shop to see our diverse collection of preowned watches and jewellery. Knowledge and experience is key to our business and we can boast over 100 years of retail jewellery experience between us. Other services we offer are repairs and servicing, sourcing specific items for clients, as well as buying watches, jewellery unusual items of interest and even classic cars and classic/vintage motorcycles. Any other information you may require please feel free to contact us either by visiting the store, calling us or by email to which we aim to respond to as quickly as possible. Alternative, you may find information you need under our FAQs.